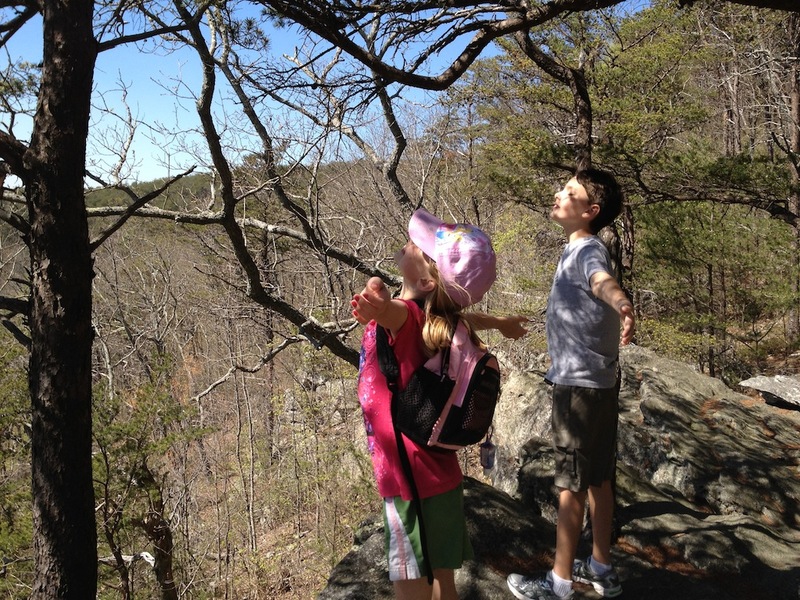 Joshua and Meg take a deep breath on Mt. Cheaha. Whenever we can get out into the woods, I like to go hiking. I enjoying exploring something new, seeing new things in the familiar places, and watching our children do the same. I remember a time when we were hiking from the top of a large hill, the highest point in Alabama, to our campsite. From that high perch we could see our destination, but the route to get there was rather circuitous. One might bemoan such a “long way around” to the destination. But along the way, we saw many wonderful sites, played in the streams, and enjoyed the adventure together. While we were in the middle of the hike, we could not see the destination any longer. We knew it was there; we had seen it. We had faith that we were on our way because we were following the trails that others had marked before us. All of those are trail markers that will come, in due time, along this trail. The Lord has led us this far, and He will not fail us. He will provide for us in ways we could not imagine. We are confident of that. Every time I hike, I learn something new. This journey is no exception. Today I am thinking about what I have learned about Visas, you know those things you have to have to enter another country as a legal resident or student or whatever role you assume there. We await our Visas from the UK immigration folks. We were blessed with this picture and notes of encouragement. 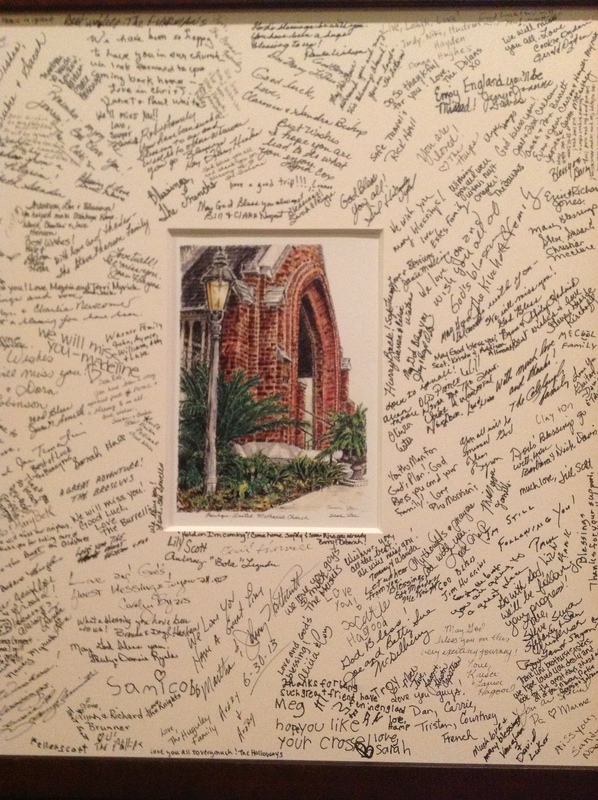 Today was our last day at Fairhope United Methodist Church. Through the love, hugs, encouragements, and tears the people of Fairhope UMC gave us their Visas, their endorsement to proceed. We are grateful for the many ways they shared glimpses of the Kingdom of God with us. As we are on this next journey we are thankful to those who have journeyed with us, encourage you to continue the journey, and look forward to our journeys together again.